order azithromycin From beer tastings to meet the brewers to fundraisers and more, we love to put on events that showcase craft beer & food, community and great people. We love to partner with local breweries & businesses to put on fun and interesting events throughout the year. Our biggest events of the year are our Anniversary Party & San Diego Beer Week, both of which feature an outdoor beer garden and hundreds of beer on draft. Stay tuned! 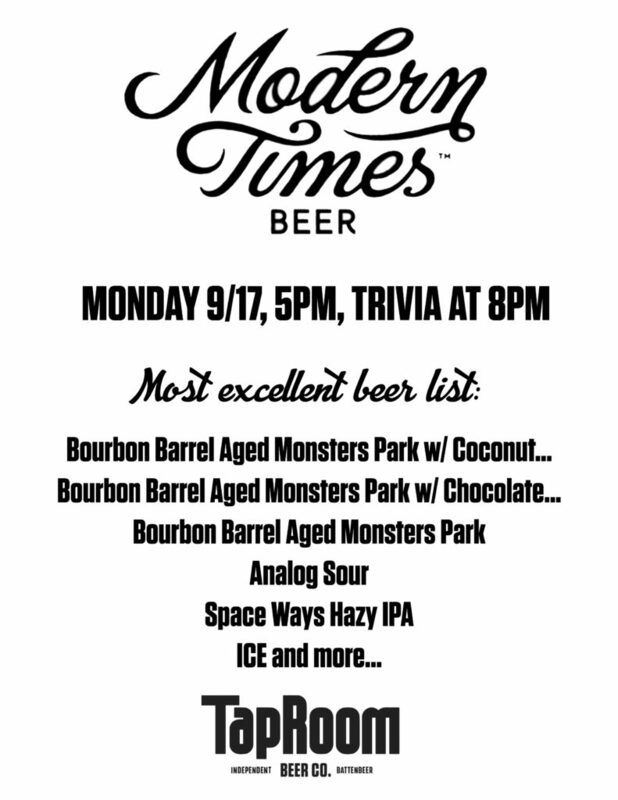 Modern Times Takeover & Trivia! « BFF Beer Release & Tap Takeover! buy amoxicillin Join us as we welcome Modern Times to take over our taps! Come for the beer, stay for the trivia! (or vice versa). Beers will be tapped early. Swag and fun to be had, join us!